When was the last time you got out of the office and worked on your business? Too many professionals are stuck in the day-to-day monotony. As a result, they develop habits that hold them back from their true potential. Why not put a spark in your client acquisition by attending the best financial advisor marketing conference available? Our retreats are transformative, both in the professional and personal sense. They combine the best of thought leadership, peer-sharing, skill development and strategic planning. Join us at one of our upcoming retreats to take part in this powerful process. Effective marketing campaigns have direction, and this starts with knowing your ideal client profile. Learn how you can tailor each of our time-tested marketing strategies towards your ideal client. Why settle for anything less? Learn how to use a scorecard for measuring the leading indicators in your business. Tracking these activities, if done consistently, will lead to client retention, client acquisition, and team satisfaction. Learn simple, but effective ways to improve team communication. Much of this comes down to having the right structure. We have tools and templates that help you mirror the best teams in the business. We’ve been compiling best-in-class language with one mission in mind – to help you close more business. Refine your sales skills in this important session because language matters in high-stakes sales environments. Who would find value in attending? If you are looking for a solid financial advisor marketing conference, you should join us. This event is for established advisors and agents looking for a transformative experience in both their personal and professional lives. It gives participants an opportunity to step away from the day-to-day office environment to reflect, plan, and energize. Attendees come from a wide variety of firms and distribution models throughout the financial services industry. This cross-pollination maximizes the best practice sharing that takes place amongst our attendees. Is this event different from previous retreats? Yes, every event is unique. We present new ideas, templates, and exercises at each retreat to ensure that previous attendees get as much (if not more) value than new attendees. We also use these events to release our most updated research and findings. Learn straight from the affluent—what they want from a financial professional—uncovered from our latest research. What will the retreat experience be like? This event is designed to be an interactive experience. It’s a hybrid of presentation, group exercises, individual work, peer-sharing, role-playing, and strategic planning. When you combine three industry thought leaders, experienced coaches, and professionals focused on growth, you get a great financial advisor marketing conference! You’ll walk away with more marketing and sales strategies than any one person can implement. 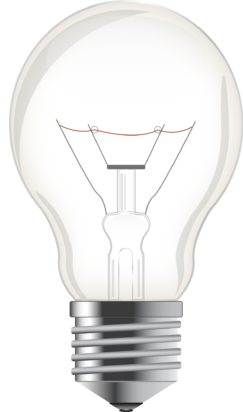 The system and techniques taught at the retreat, when executed consistently, produce tremendous results. We have done the research on elite performers who have mastered the mindset, activities, and skills needed to reach the highest success levels. Some of the most successful financial professionals in the business use our methods every day. Should I bring other members of my team? Many of our attendees bring team members to the retreat. When team members experience the transformative nature of the event, immediate implementation can be expected when you return to the office. Everyone leaves the event on the same page and excited about raising their game. Not to mention, group discounts apply. How are Oechsli Institute coaches involved? Many of our coaches attend the retreat. They help facilitate exercises and provide individual guidance onsite. There will always be someone there to answer your individual questions. Is this event aimed at signing me up for your coaching program? No, this event is a standalone, actionable, transformative program. Our objective is personal and professional development that stimulates growth. Do I have to be an active coaching client to attend? 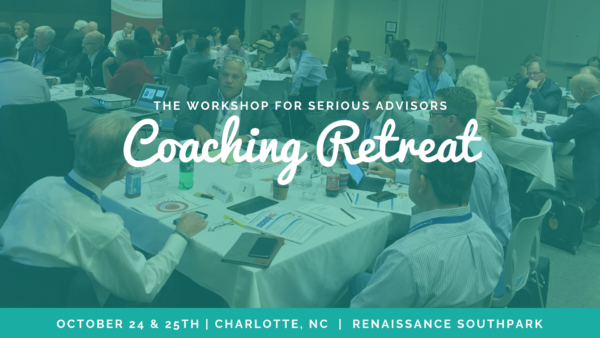 While specifically designed to accelerate the coaching experience, this financial advisor marketing conference is open to the public. You don’t need to be an active client to benefit from this transformative experience. The strategies and tactics you will learn are invaluable. You will receive our latest research materials, and numerous handouts/exercises. When will the retreat be coming to my area? Are airfare and lodging included in the price? The price of this financial advisor marketing conference does not include airfare or lodging. However, we do work with the hotel to provide our participants with the lowest possible rates. We also hold our events in locations that have many direct flights, so that travel is as convenient as possible. When does early registration pricing end? The early registration price of $1,495 will end 1 month before the program. How much do you charge for my assistant? Assistants (non-producing financial professionals) may attend at a discounted rate of $995/each. Is there a discount for coaching Alumni? Yes, if you are a previous coaching client, then you can attend for $995. Call our office to take advantage of this discount at (336) 273-6582. What is the location of your next event?